Kyndra Holley knows that one of the biggest challenges people face when transitioning to and sticking with a whole foods–based ketogenic lifestyle is carving out time to cook day after day—especially on busy weeknights when life is pulling you in a million directions. Preparing healthy low-carb meals from scratch, without relying on prepackaged convenience foods, can leave you feeling like you spent hours in the kitchen, all for a meal that’s just a memory within a few minutes’ time. Being no stranger to the familiar time crunches of modern life, Kyndra tackles the issue head-on in her new cookbook, 30-Minute Ketogenic Cooking. The book features more than 50 of her quickest, most mouthwatering recipes, each of which requires no more than 30 minutes of hands-on cooking time. You’ll be enjoying tasty keto meals in almost no time flat! This book is a game-changer for busy families, overworked singles, and anyone else wishing to adopt and maintain a ketogenic lifestyle without letting food prep, cooking, and cleanup rule their lives. Kyndra has included her favorite fast and flavorful breakfasts, lunches, dinners, and snacks. As in her previous books, every recipe uses only easy-to-source, real-food ingredients and reflects her instantly recognizable flair. 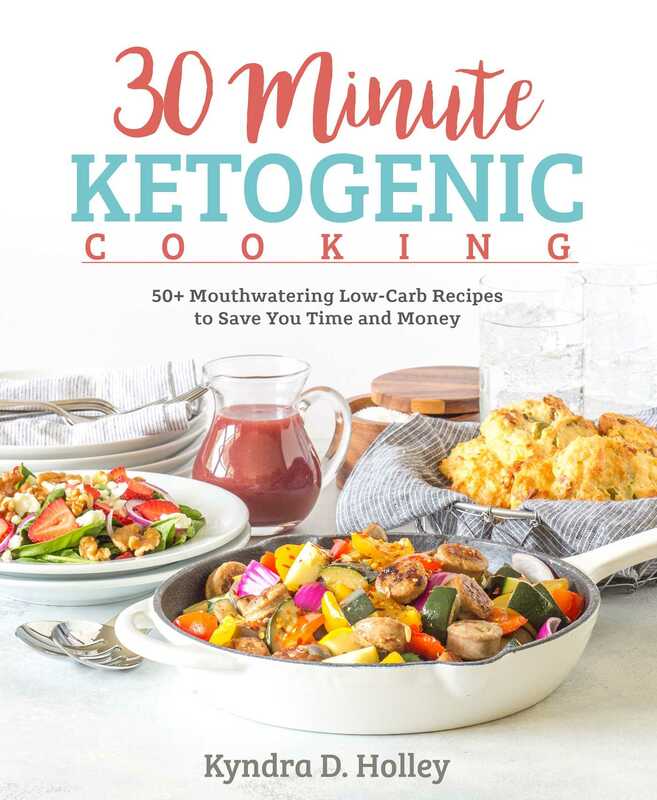 In 30-Minute Ketogenic Cooking, she lets you in on her best timesaving tips and tricks so that in half an hour or less, you can have a delicious and nutritious low-carb meal on your plate.